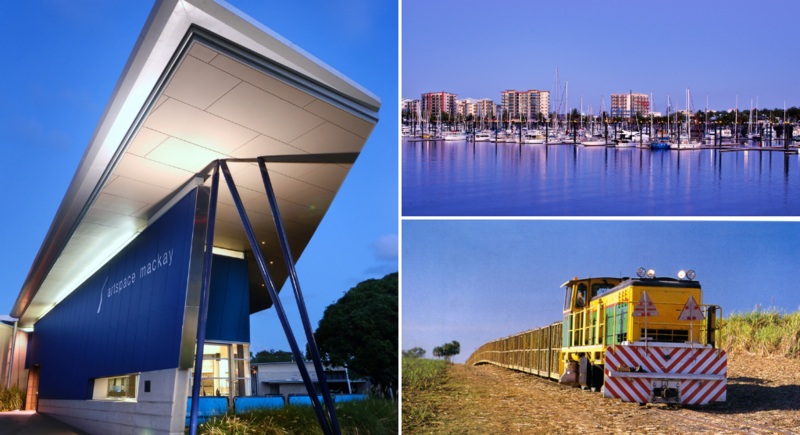 The Mackay Region boasts a desirable lifestyle and a buoyant economy. It is a prosperous and growing region underpinned by a strong economic base, and continues to experience economic growth through mining, agriculture and tourism. As a tropical gateway to the Great Barrier Reef and Coral Sea, Mackay continues to attract holidaymakers, property investors, families and jobseekers. Located in Central Queensland, its coastal location is complemented by a spectacular natural environment including 31 beautiful beaches, a picturesque blue river and a pristine rainforest hinterland. Mackay is 980km north of Brisbane & 390km south of Townsville. Mackay is serviced by a domestic airport with daily flights between Brisbane, Gold Coast, Sydney and Melbourne as well as regional destinations such as Cairns, Townsville, Rockhampton and Gladstone. For more information on Mackay download the 2018 Mackay Regional Profile. To keep up with what is happening in and around the Mackay region, regularly check our blog page.